Late November is an interesting time to go for a walk on the beach. Whistable Beach in Kent was almost deserted except for a handful of brave dog walkers and particularly persistent joggers. It was raining hard enough to notice and the wind was up, so it was difficult to take in the sights that make this seaside town so beloved. But looking out at the sea is always a worthwhile thing to do, even if it was only for a few minutes before scurrying back into the town. Sopping wet and shivering, Harbour Books with its elegant storefront and beautiful artwork in the front window was a relief. 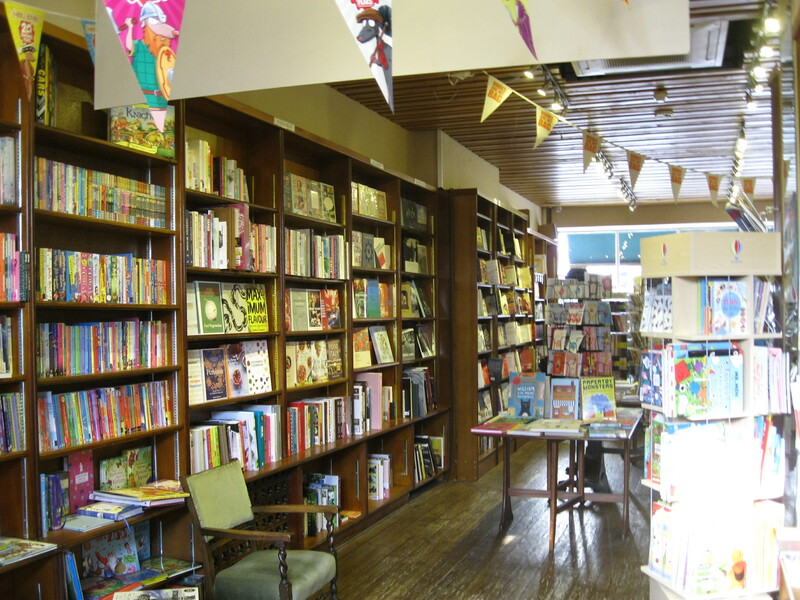 With two floors of new books in fiction and non-fiction, Harbour Books is the kind of establishment that makes a small town feel like a place, and not just a collection of houses and cafés. 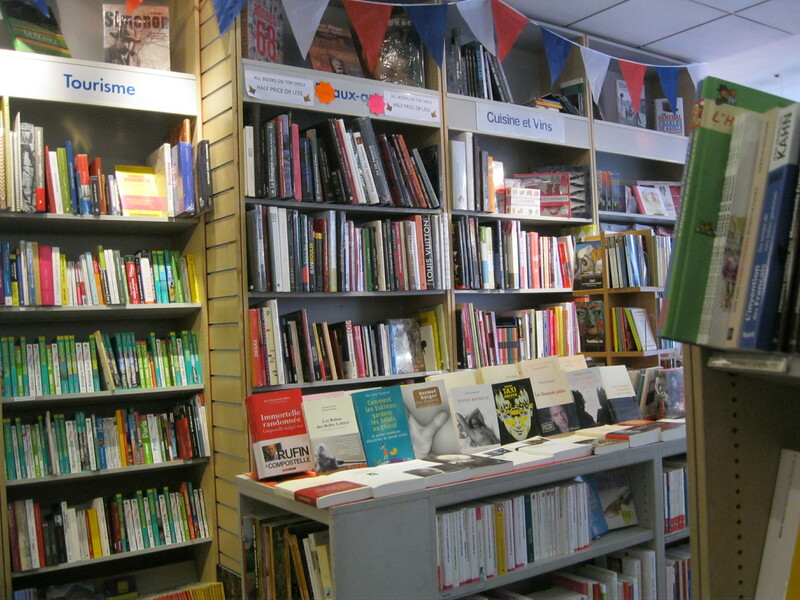 I always feel like an independent bookshop gives a place its soul. 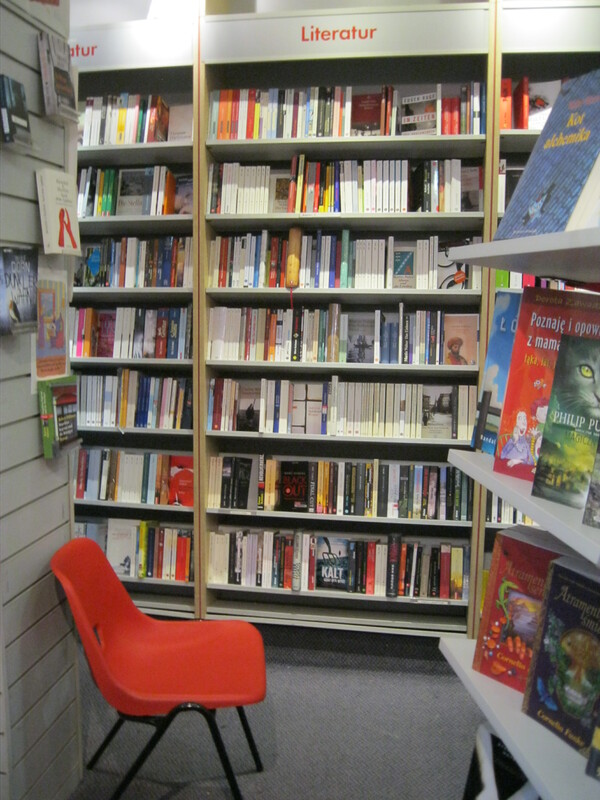 On the ground floor is fiction, including a selection of contemporary literary fiction and best sellers as well as a quite well-stocked A-Z of novels. 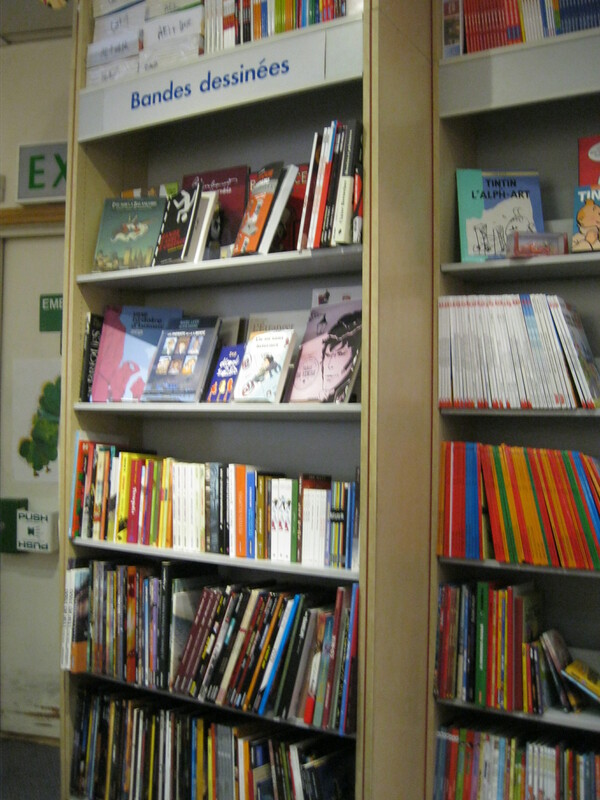 There are staff recommendations, a bit of a focus on local authors and a decent range of children’s books. And there are lots of bookish gifts like notebooks, mugs and tote bags. 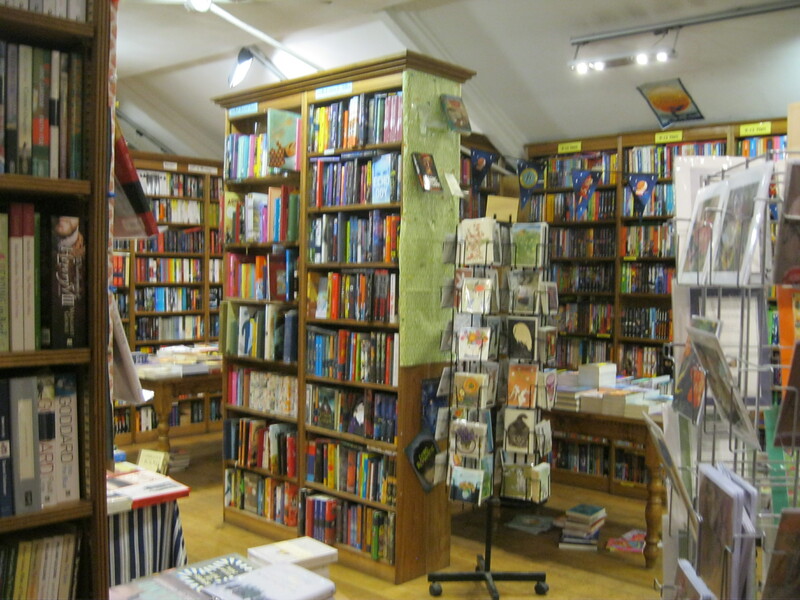 It’s good all the charms of the very best bookshops, with hard wood floors that creak pleasingly underfoot, inspiring quotes painted on the walls in ornate cursive and friendly booksellers quietly chatting away to customers, recommending Christmas presents. 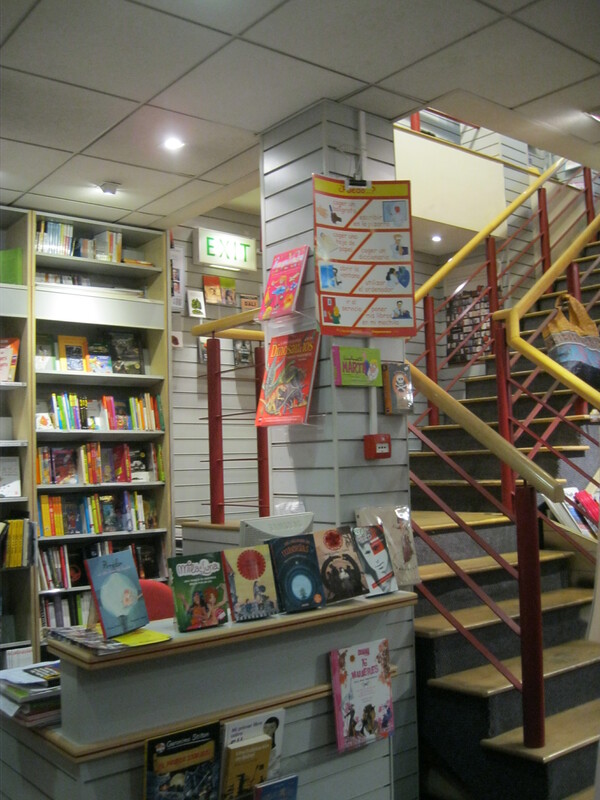 Upstairs is quieter; people just popping in for a browse don’t always make it to the upstairs of a bookshop. 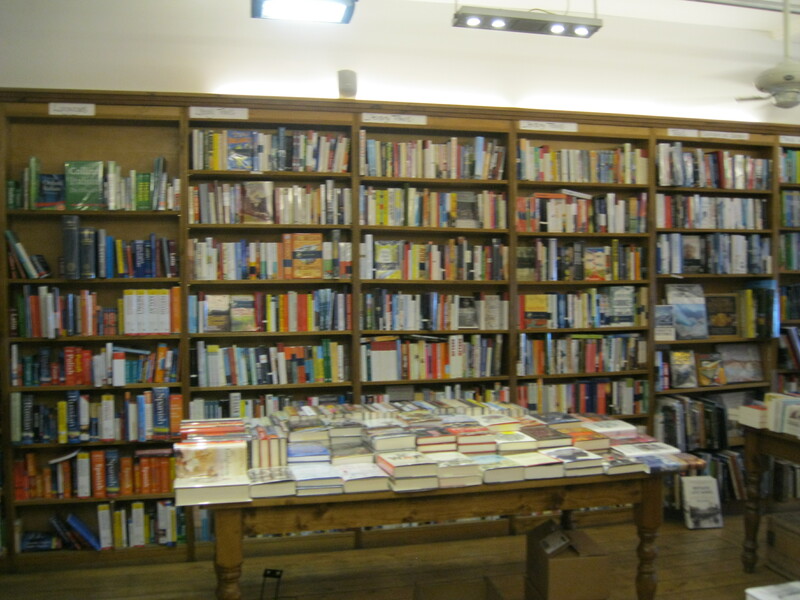 It’s the home of non-fiction including inspiring cook books, politics, local interest, gardening, nature writing, travel and an excellent collection of history books arranged chronologically by subject. Perhaps because I don’t often read history books, I often find myself wondering about the people who do. My eyes immediately go to the novels or, failing that, for books that comment on the world as it is now, that look at contemporary issues that affect the world around me and about which I might conceivably be able to do something. I must confess that history books never attract me. But seeing a selection so carefully put together as the one at Harbour Books is cheering because it is a reminder that it takes all types of readers to make the world go round, and that for someone, this thoughtful, organised array of books will be an absolute feast. To those other readers who are getting something that I’m missing, I salute you. Harbour Books feels like the kind of place that is all about books and friends. With a 25 year history in Whistable, it’s like the friend that’s always been there for you. It champions local books by local authors, celebrating them like returning heroes. It introduces new books and reminds you of old friends that pop up from time to time to suprise you. It’s also a place for new friends, whether you’re chatting about books with a friendly bookseller or sharing poetry, prose and prosecco with new friends at their monthly Words on Waves evenings. I hope to visit the next time I’m in Whistable and the time after that. Situated right near the harbour, perhaps it’s also a little bit like a lighthouse, guiding you out from the cold and the wet and into a safe and friendly place. Dussman das KulturKaufhaus is a massive department store in the centre of Berlin, not far from the Brandenburg Gate and hoards of tourists. 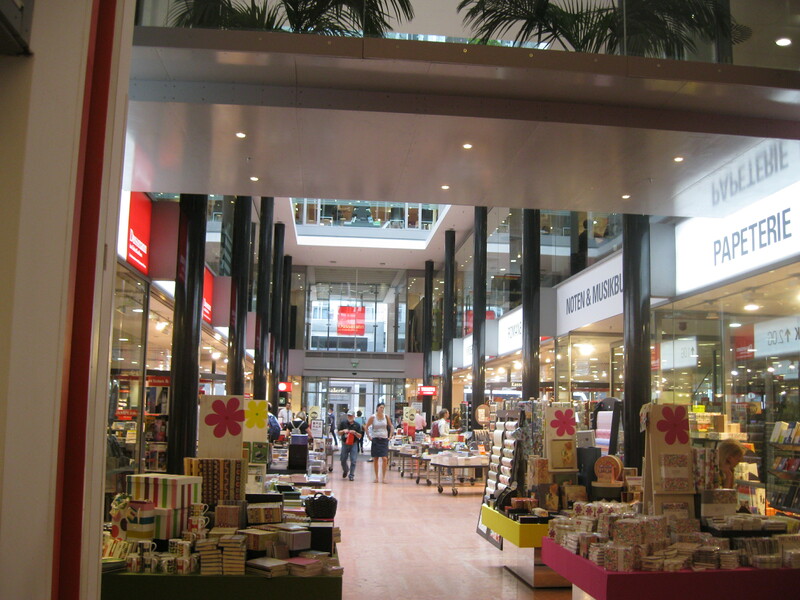 It’s similar in size and location to the John Lewis on Oxford Street. In other words, it sounds like the kind of place that I would tend to avoid. The reason I just can’t keep myself away from it, though, is that while most department stores are full of clothes and appliances, homeware and haberdashery and other non-essential things, Dussman is full of all the things I love and live off: books, music, DVDs, paper and pens and more books. It’s a book city, the kind you need a map to navigate but where the back roads and little country lanes are a lot of fun to explore and the perfect place to get lost. Split over several floors (three? four? five? 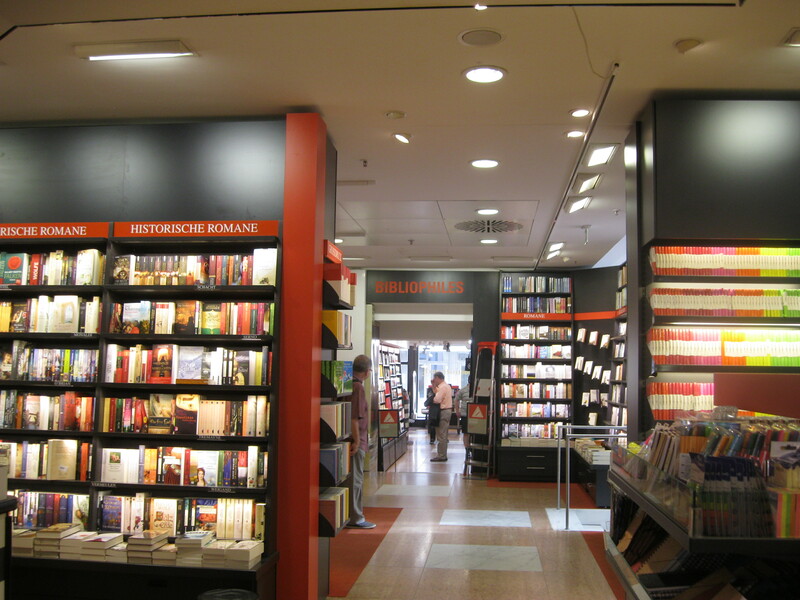 I just can’t remember) and featuring a sunny atrium and a garden, Dussman is the biggest bookshop in Berlin and the one-stop-shop for all your bookish needs. 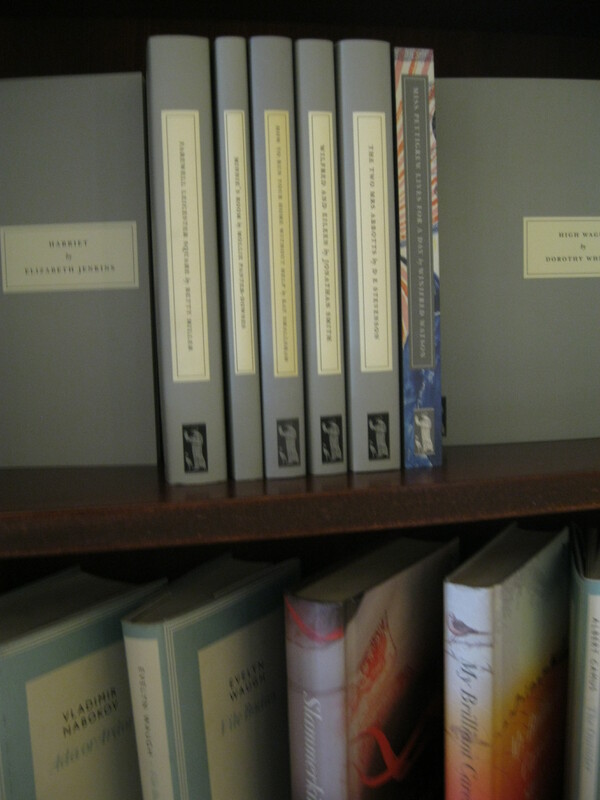 Beautiful hardcover editions of German literary classics. 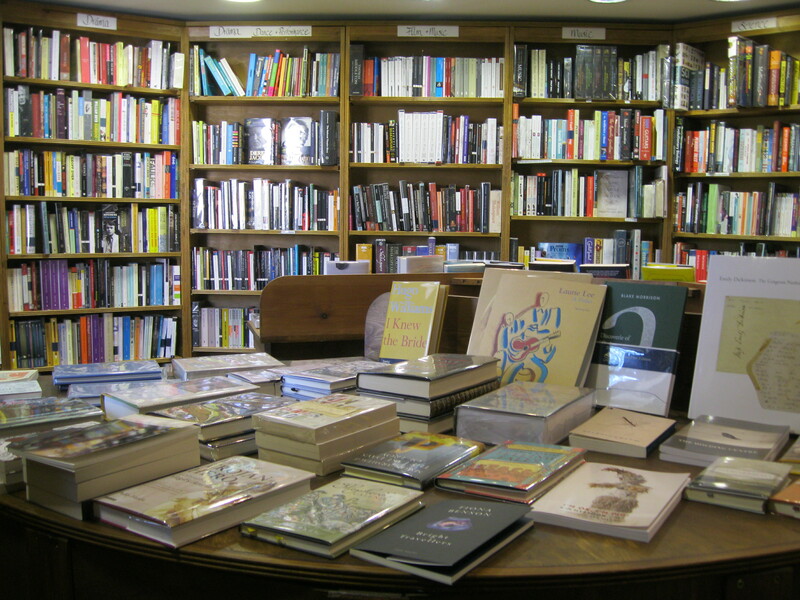 bookshop, but quality is there too; if you are looking for a special book, a particularly nice edition, an old classic, a hidden treasure or even the most specialist of genres, you can find it here. 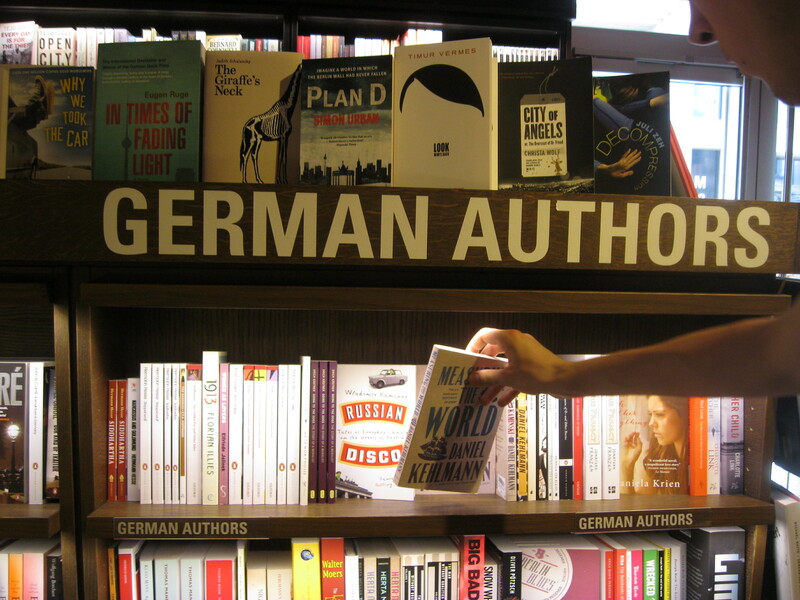 There are books by German authors, but there are also many books in translation from other languages. 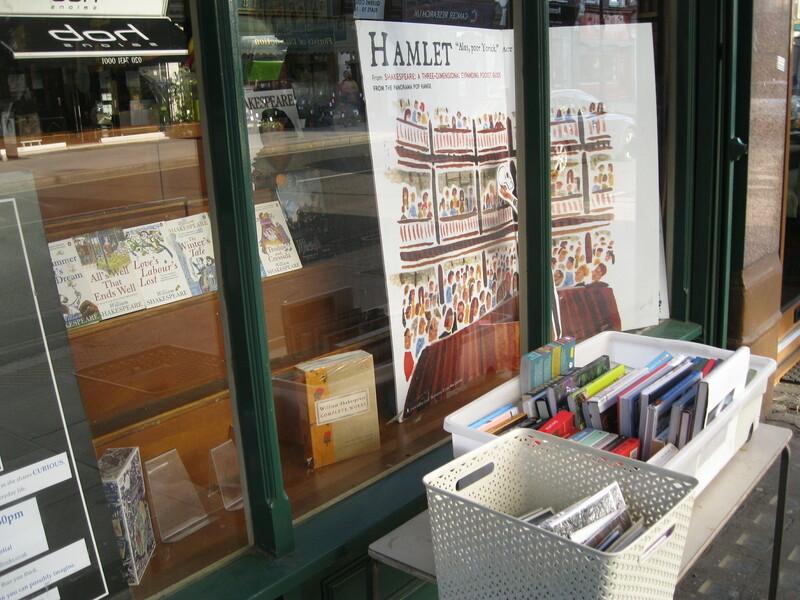 If, like me, you’re a lover not just of literature but of books, of paper and card and glue and vellum (not that I encounter much vellum, but I love the idea of it) then you’ll be pleased to know that between the novels, you can also find sheet music and maps. 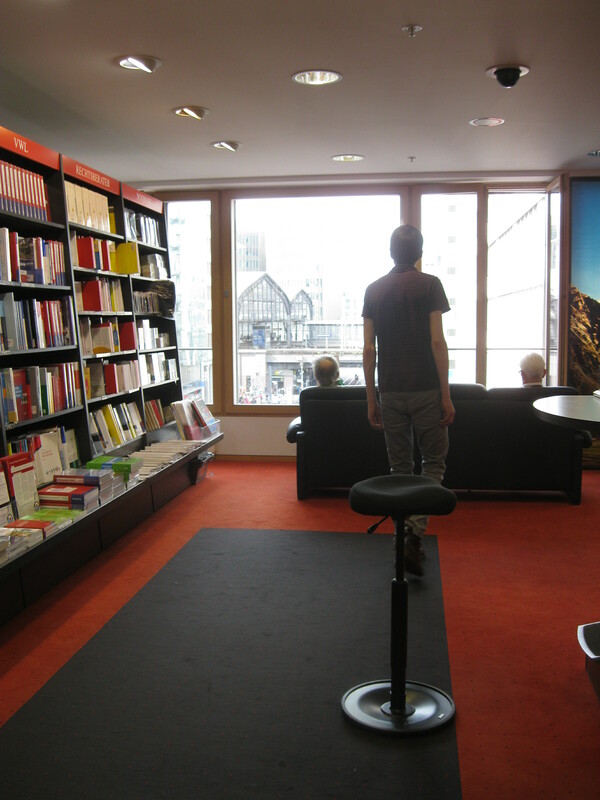 On the other side of the ground floor (am I getting across how large this bookshop is?) 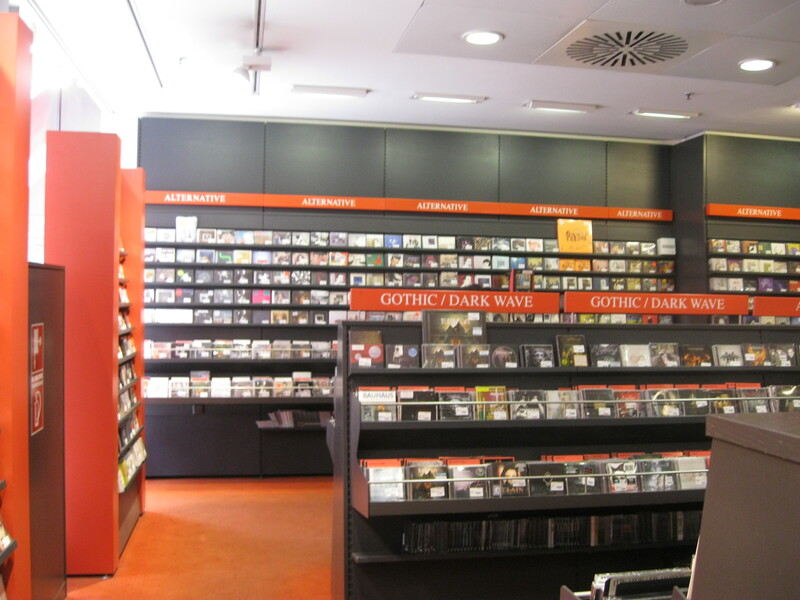 is the first music section, which is not just an afterthought but a wide and varied selection. After you’ve had enough of the ground floor, you can take the lift if you’re clever to explore the others, where you’ll find every section a bookshop could possibly have: more music and film sections which have documentaries, jazz, classical and opera and world music, then books on art, cookery, gardening, humour, philosophy, sport, business, technology, education, history, languages, law, literary theory, politics, science, travel, comics, graphic novels and manga. I challenge you to name a book (or a film or an album) that this shop does not stock. 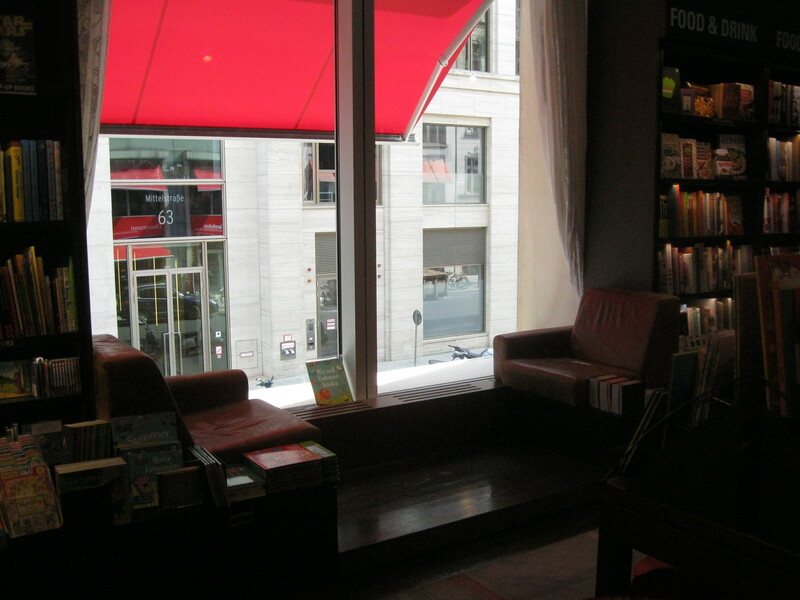 On the top floor, in a rather uninspiring location next to the business and management books, I found one of my new favourite places: a couple of arm chairs pushed up against a big bay window, facing away from the shop and other browsers to look out over the rooftops of Berlin. 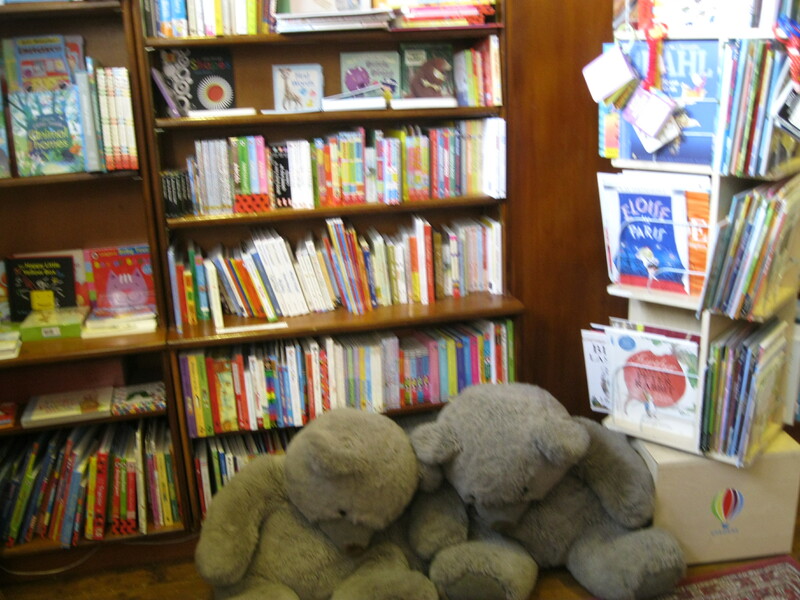 By the time I’d made it up that far and then started to head back down again, I was quite exhausted and stopped for a bit of a rest in the excellent children’s and young people’s section. 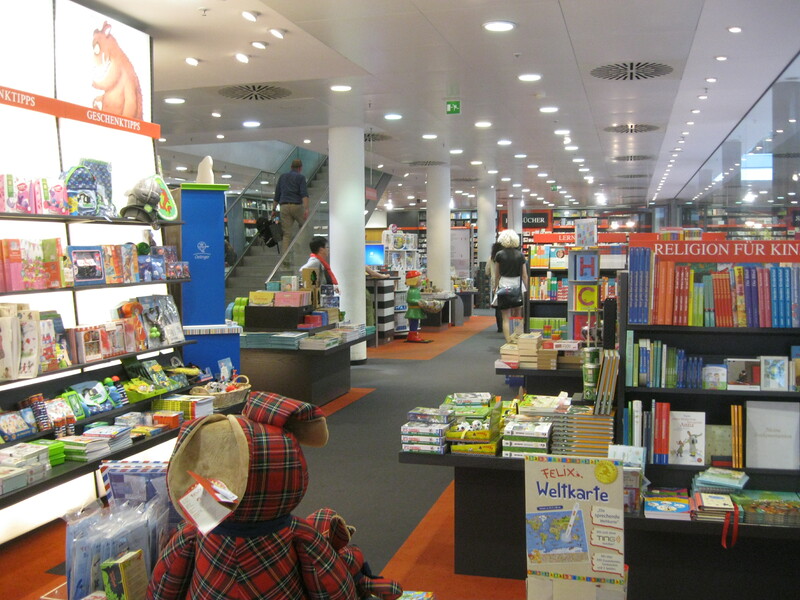 The children who shop here must be very well-rounded as the selection of children’s books in German, English and other languages included stories and poems and lots of educational books about geography, history, science and pretty much every other subject you can imagine. I’m getting tired of listing subjects; from now on, just assume that if you can name it, Dussman has it. Watching families come into this busy bookshop and pick out new treasures to bring home and read together is the most encouraging thing to witness if you love books! 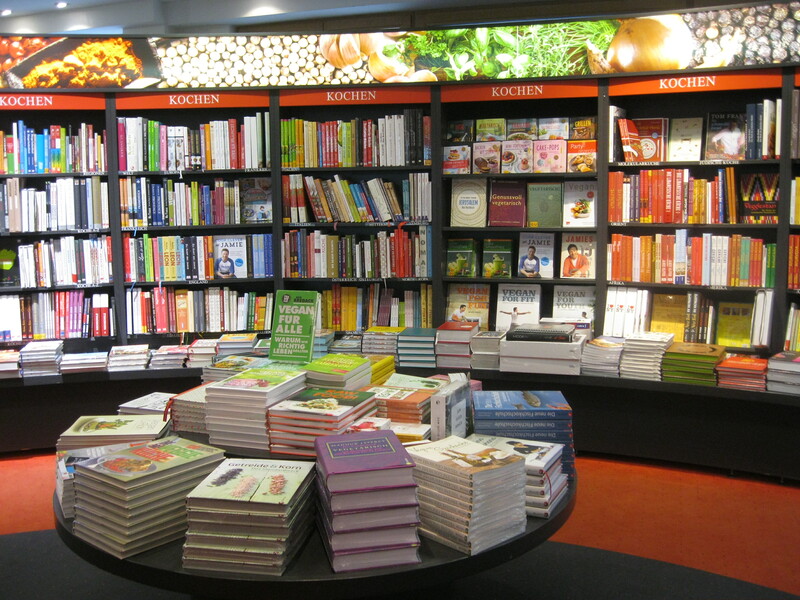 Finally, there is the English section, which is really a bookshop inside the bigger bookshop. 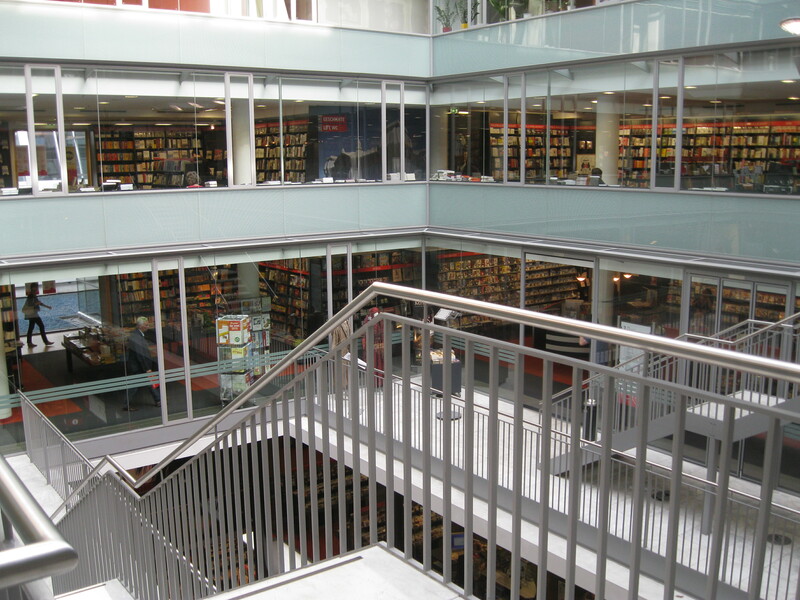 I’m told it’s the largest collection of English books in Berlin, so it’s an absolute lifeline for ex-pats who are looking for books from home or feel that they can barely handle reading Proust at all let alone in German. 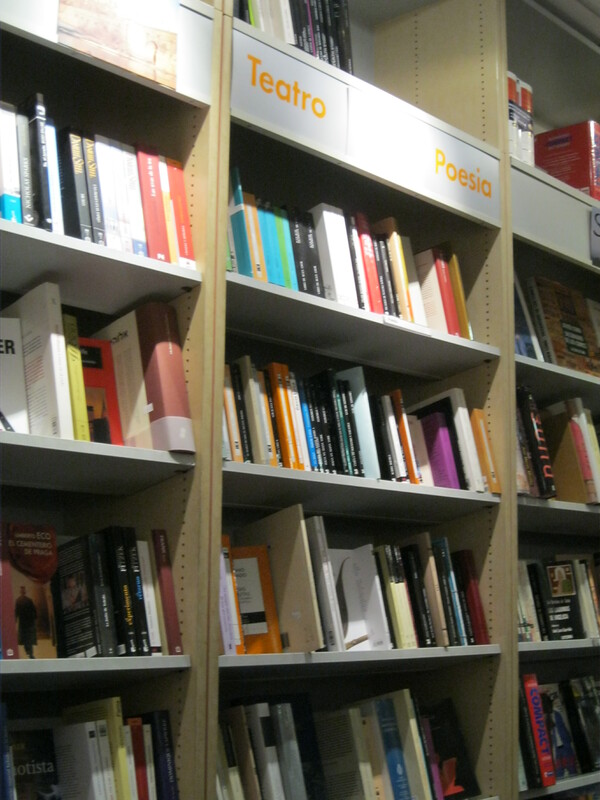 It’s also great way to explore Germany’s literature even if you don’t speak the language. 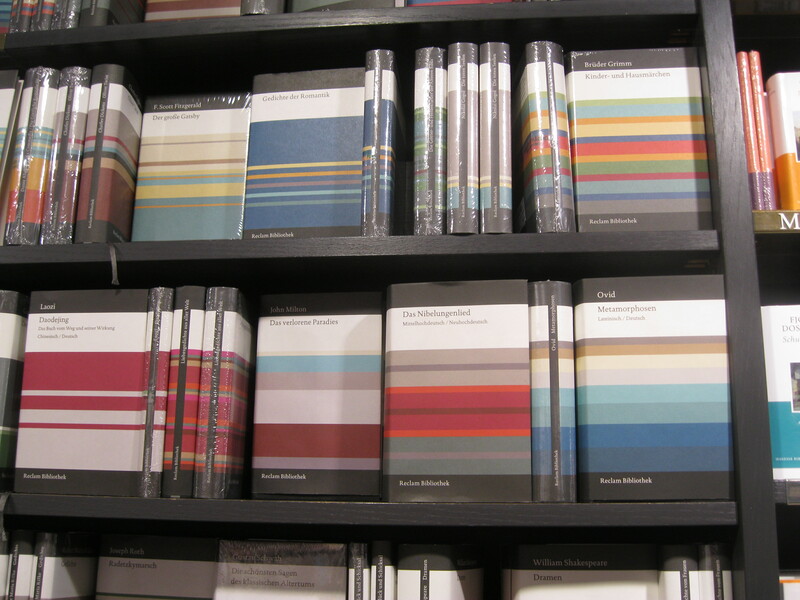 There is a whole section of English translations of books about Berlin and books by German writers. Before going to Berlin, I had read Christopher Isherwood’s Berlin Stories which are insightful, subtle and highly amusing, but, ultimately, are still the work of an outsider looking in. As the world gets more and more globalised, I think we have a duty to find out more about the other people we share this planet with, but you can’t do that if you only read works that came from your own small island. 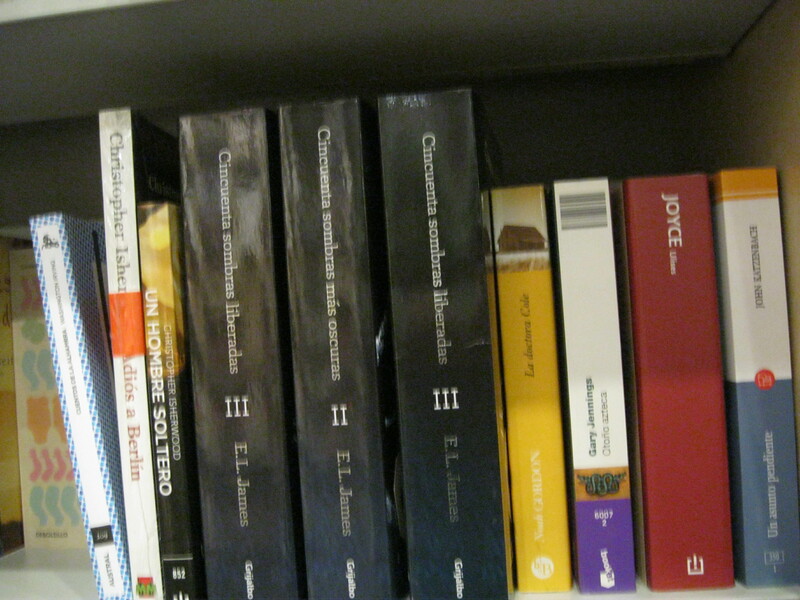 That is why collections like these are always so interesting – when one country curates a selection of its finest literature to present to the rest of the world, it can’t help but cause debate, and the choices are often completely different from what someone on the outside would have predicted. 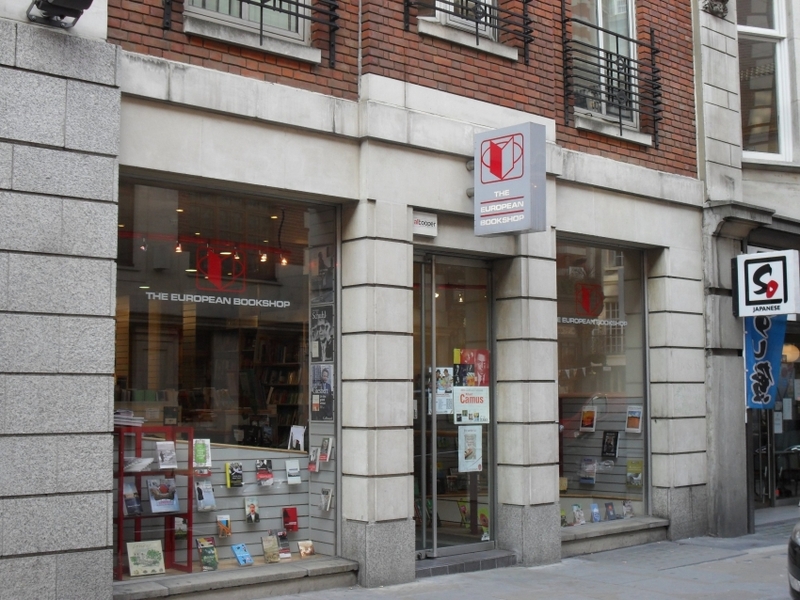 After roaming around through this lovely bookshop-in-a-bookshop for a good forty minutes, we bought The Man Without Qualities by Robert Musil and Thomas Mann’s The Magic Mountain, which is a bit of a rite of passage for anyone interested in dense European novels. When I buy a book, I always like to find a time, as soon as possible, to sit down and admire my new purchase. 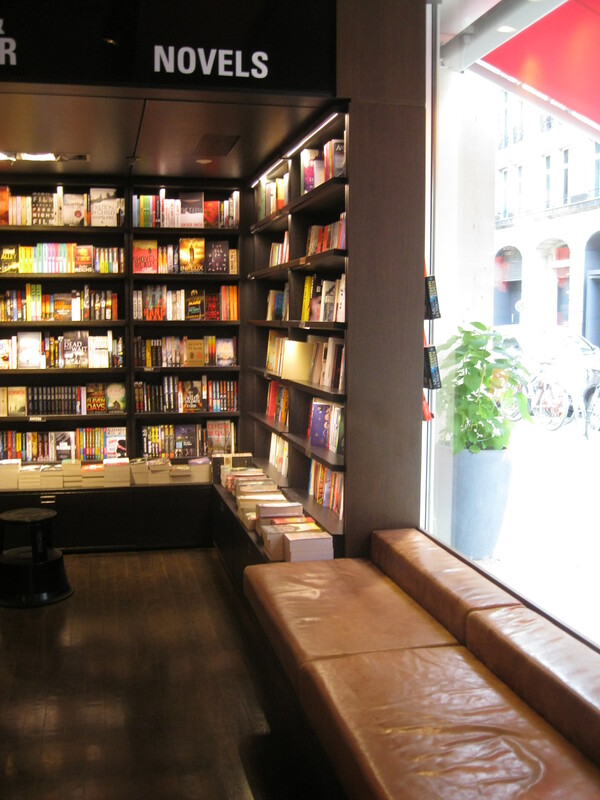 At Dussman’s English bookshop, you can curl up on a sofa by the window and fondle the crisp new white pages while you look out onto the busy street below. 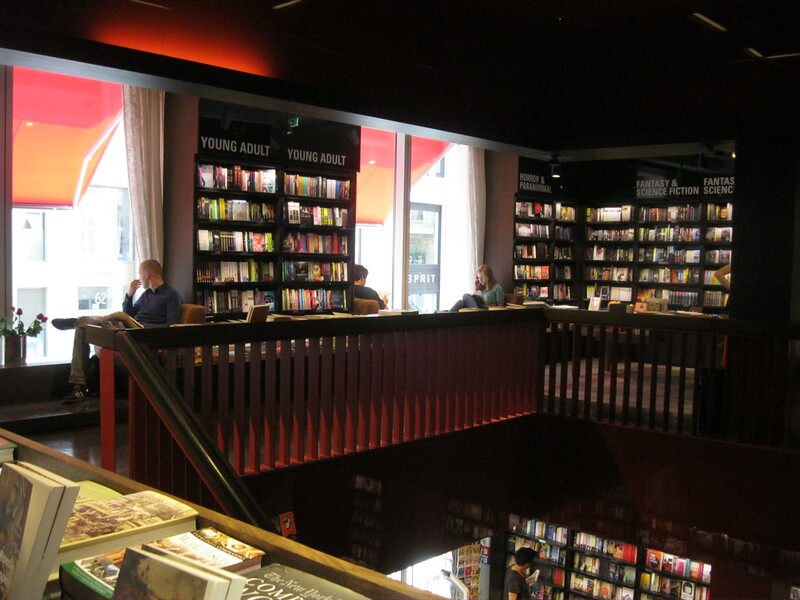 In a bookshop this large, it’s easy to get side-tracked and end up wandering aimlessly for hours. I say go for it. In a place with so many different possibilities, so many new things to pique your interest and make you think, you owe it to the adventurer in yourself to explore every different avenue. You have to be indiscriminate in your enjoyment, embracing the new and strange and obscure as well as the classic and best-selling and putting the two of them together. Sometimes I like to play a game with my bookshelves. I pick two books that I happen to have stuck on there beside each other and wonder what would happen if the characters were to meet. Would Stephen Dedalus play nicely with Pip? What would Dean Moriarty and King Lear talk about? It’s not the coolest game but it’s made me smile many times. At Dussman, these opportunities, questions, connections and segues are everywhere. They’re in between the pages of the book you’ve never heard of, or in the name of a German poem that makes you think of something you read when you were young, or in a travel guide to Bali. All you have to do is be patient, exploring everything you can until something exciting pops out at you. I have a confession to make: I am guilty of a small crime. I only hope you find it charming and that you don’t abandon your well-meaning but overly-zealous book-hunting correspondent. Last week I walked into a large second hand bookshop in the south-west. I’m afraid I can’t be more specific than that lest my confession is whispered into the wrong ears. I roamed through aisles of bookshelves, looking for the good and interesting secondhand books in the sea of mass market paperbacks. The hidden gems are always there and I welcome the challenge. I picked up a tattered old hardcover book (which I shouldn’t name) and was turning the the thick, yellowing pages when a small piece of paper fluttered out. I knelt down to pick it up and read the little note that had lovingly been tucked into this book. Some time ago, judging from the name ‘Neville’ and the fragility of the paper, a sister used this funny little book as a means of transporting a feeling, a thought, to a loved one. 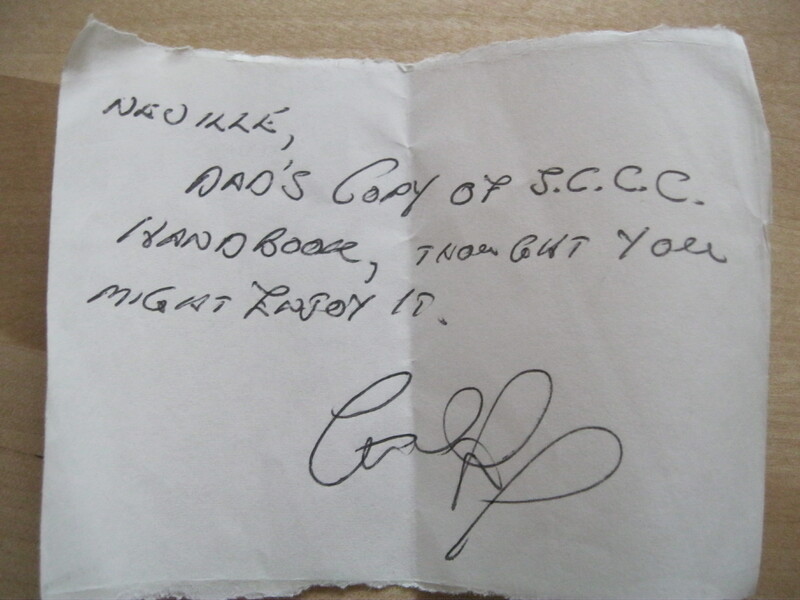 The note reads, ‘Neville, Dad’s copy of S.C.C.C. Handbook, thought you might enjoy it,’ followed by a swooping signature I can’t quite make out but for some reason am supposing is female. Now, I know this note wasn’t meant for me. But it was meant for someone who would know what it meant. Someone who would understand that within the brittle, yellowing pages of an old book, a human life can be deposited, memories can sit and collect, waiting to be opened up and brought back to life with startling force. Maybe Neville wasn’t that person, and when he was clearing out his cluttered house he didn’t keep a piece of his family history. I prefer to think that he did understand, and kept the book in a place of honour, even if he never read it himself, because it meant something. I don’t know how old this note is, so maybe Neville is long dead and it’s the original owner’s grandchildren who sent it to its new home here in this bookshop. The truth doesn’t really matter. What means most to me is the way this simple note, tucked into this little book, opens up infinite possibilities for stories happy and sad. I’ve said it before and I’ll say it again: I believe that human lives are bound up with books. We move through chapters in our lives, turn over new leaves, impose narrative structure on random events and aspire to happy endings. I know this note wasn’t meant for me. But that doesn’t mean I didn’t want to be part of the story. So, selfishly leaving the book itself to wait for the next browser, who, I know, will now get less out of it, I tucked the note into my pocket and took it home with me. I just can’t help it; I love a good story. I hope you won’t judge me too harshly. Posted in Other Thoughts...Okay, Rants. 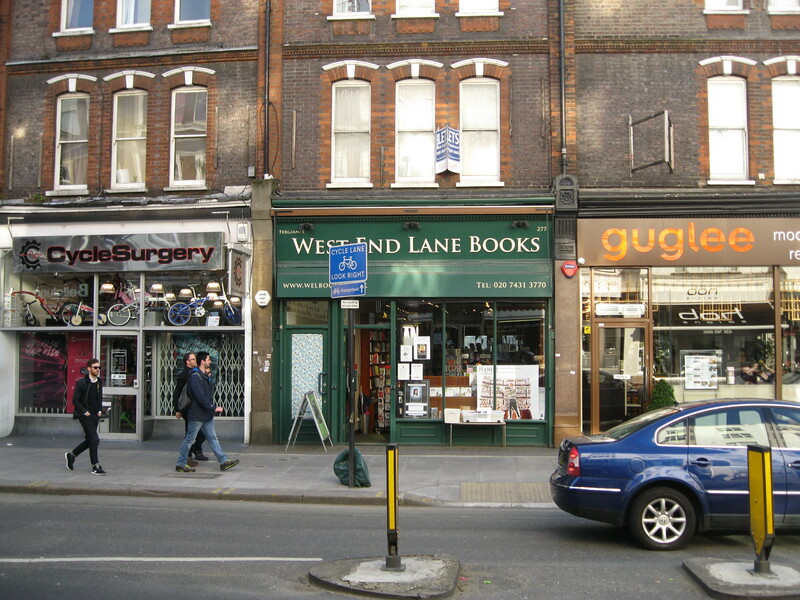 Question: When is a bookshop not just a bookshop? Answer: When you can eat Spanish tapas courtesy of trendy London restaurant Morito among the shelves of an evening, attend a monthly Reading Group where you actually talk about books, take a guided tour through haunted Bath with a mystery writer or listen to the biggest names in contemporary literature (Will Self, Deborah Levy and David Mitchell are coming up) wax philosophical while you have a glass of red wine. 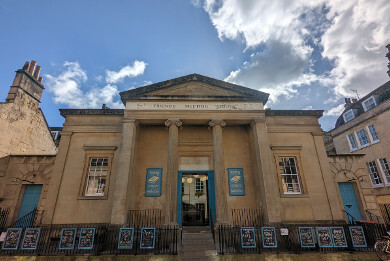 Topping and Company Booksellers, in the beautiful, elegant and quintessentially English city of Bath, has many different incarnations. At times it’s tense, as when it’s hosting a particularly heated debate. At others, it’s bursting with excitement, as in the moments before a celebrity walks through the door. 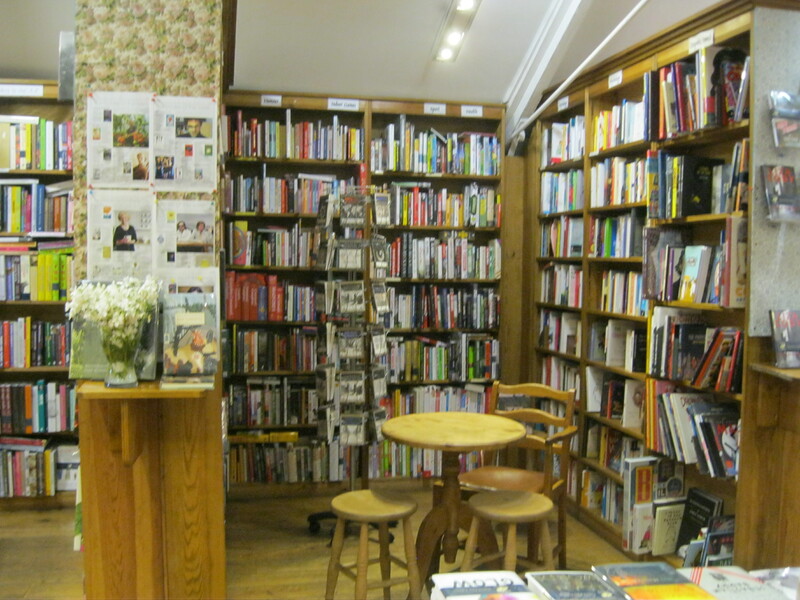 But most of the the time, it’s just a lovely bookshop, quiet, civilised, refined and full of simple delights. On the glorious Sunday morning when I was last in Bath, the sunlight spilled in through the wide front windows and filled the shop’s interior with its brightness. The soft, warm wind came in through the open door so that the shop felt so much like a hidden clearing in a wood that I almost expected rose buds and dandelion fluff to fly in on the breeze. While the hardwood floors and tall wooden shelves undoubtedly make the shop as dark and cozy as it should be in the wintertime, today it was the perfect version of a modern Enchanted Forest. A place where, as beautiful as the sunlit city of Bath is, the magical possibility is much greater in the dappled light of this mysterious place, where adventures and romances crouch on every shelf, waiting for their magical whispers to reach your ear, waiting for you to comply with the fairies’ mischievous requests that you let them come out. There were few other travellers wandering through the Enchanted Forest when I began my journey. While most stayed outside in the safety of bright sunlight, I walked straight in and as deep into the forest as I could, unafraid of getting lost. I weaved my way through corners covered with virtually every genre you could ever want: literary fiction, science fiction, fantasy, travel guides and literary travel writing, languages, sport, health, games, nature, cookery, humour, media, psychology, history, current events and even a whole bay dedicated to ghost stories, all of which are arranged beautifully on shelves and in attractive displays on tables. 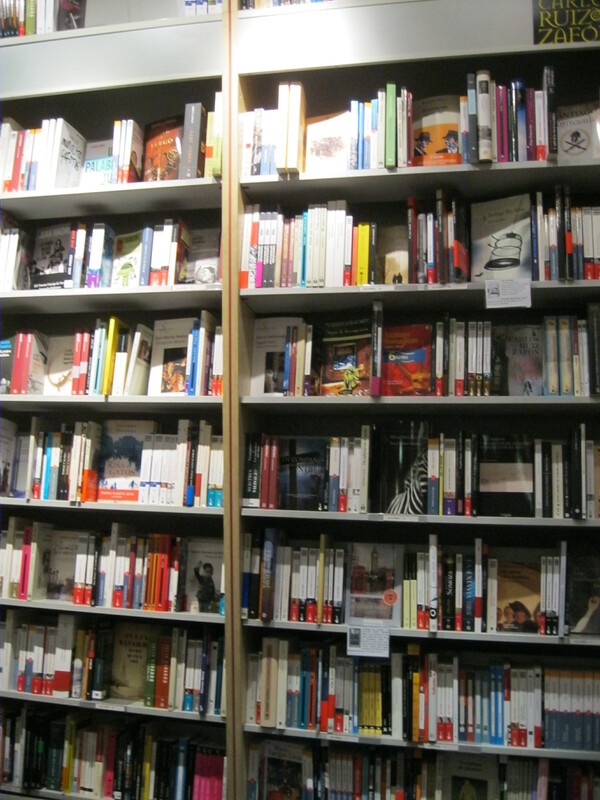 In addition to this impressive range of genres, Topping and Company devotes equal space to established classics as it does to forgotten treasures and contemporary books exploring every aspect of modern life. 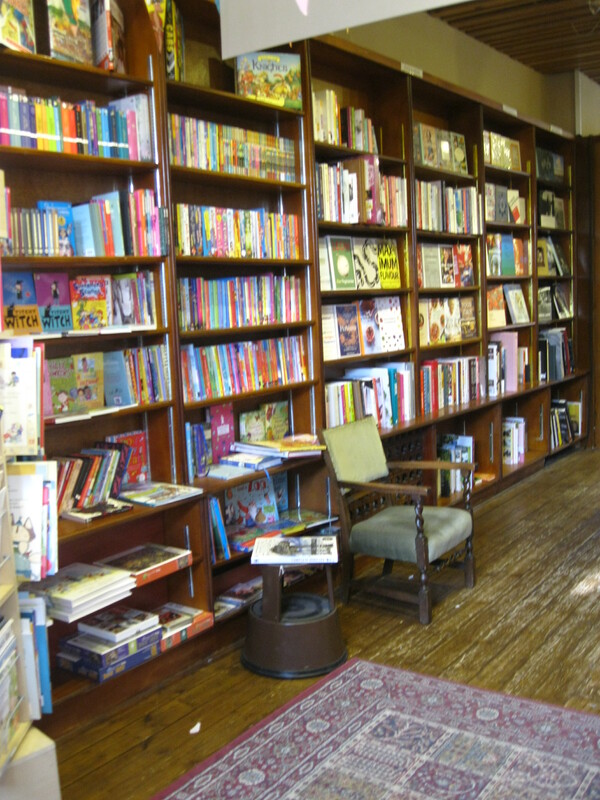 It’s a collection as prolific as nature itself and as diverse as the people who pop in and settle down in the chairs around the shop to admire and decide which books to bring home. 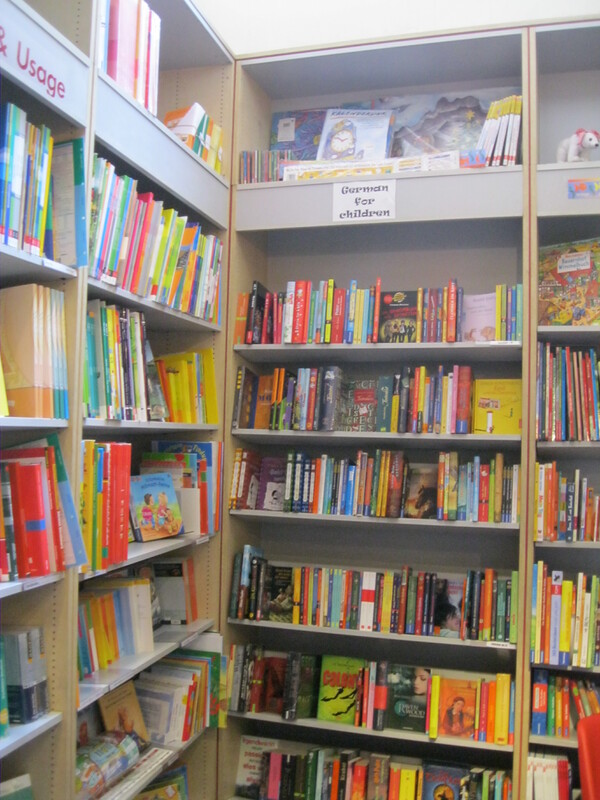 After spending a good deal of time in fiction, as I always do, I ventured on and into the children’s section near the back of the shop. I know these parts well, but they can be daunting to those unfamiliar to them, those for whom it’s been far too lon g since they took their shoes off and ran barefooted over mossy paths and climbed up gnarled roots. Fortunately, if this is an enchanted forest, it is inhabited by a fairy godmother called Victoria has marked the way for those less able to navigate on their own. Victoria’s Recommendations do the art of bookselling proud. She has hand-picked the finest spoils and presented them for our inspection, giving us her treasures to take home. 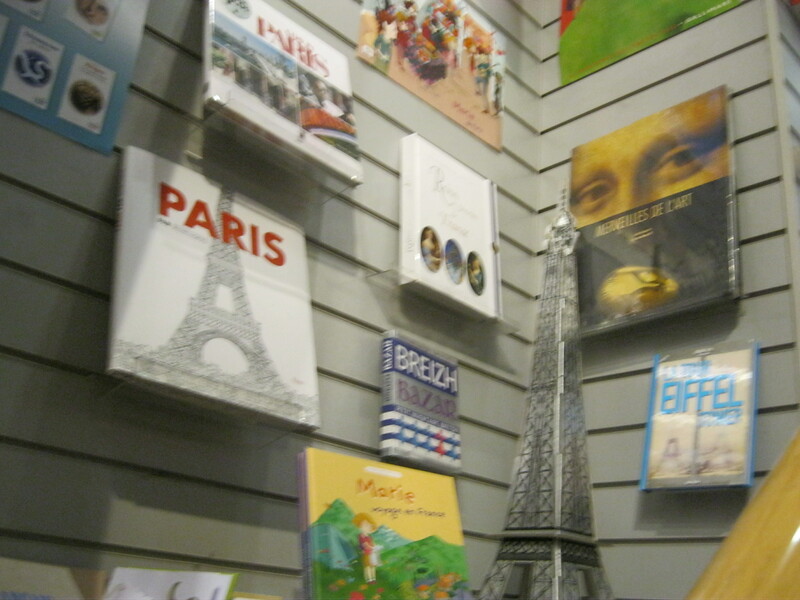 The books are arranged by age group and go beyond the obvious choices, taking in everything from brand new picture books to a thoughtful range of young adult novels. Up a couple of stairs, you enter the Arts Room, the heart of the bookshop, announced by a large sign listing off the impressive range of subject matter covered in this small room: Arts, Architecture, Design, Photography, Antiques, Poetry, Drama, Film, Music, Philosophy, Crafts, Literary Criticism, Languages, Reference and Science. 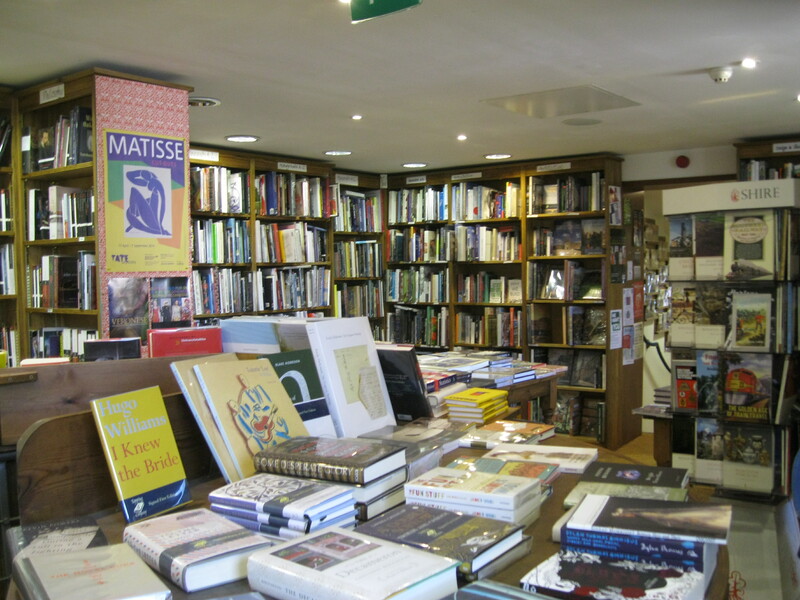 Though it is smaller than the rest of the shop, this back room holds beautiful books of art and architecture, pages and pages of theory and criticism, signed copies of famous recent titles and a curated collection of excellent old and new books. I probably found half a dozen new or recent books of poetry and literary theory (I am biased towards literature in my bookish adventuring) that I had never heard of but was dying to read. A new book on oral storytelling in Chaucer, the Collected Poems of Anthony Thwaite, an analysis of the state of the art of letter writing and a book on First World War poetry all had to be left behind, though I haven’t stopped thinking about them and will soon return. This room and I have unfinished business. The Arts Room is crammed with fascinating books which, gathered together, are simultaneously depressing – in the sense that this one room contains more knowledge than any person can read and absorb in a lifetime – and uplifting in the sense that we belong to the human race, incapable, admittedly, of magic and sorcery, but masters of creativity. Small and circular, this room encloses you and threatens to swallow you up, lulling you into a deep sleep and confusing you until you don’t remember why you would ever leave. Be wary lest you fall under its spell and stay forever.